The sumptuous outdoor vistas, historical locations, and exciting terrains of Salt Lake City, UT, await your family’s next road trip adventure. And at Volkswagen SouthTowne, your local used car dealership near Salt Lake City, UT, we want to ensure that you’re suited up with a vehicle that can handle anything thrown its way during your journey. That’s why we’ve stocked our cutting-edge showroom in a vast collection of dependable, pre-owned automobiles. With our wide variety of trustworthy sedans, SUVs, and any other type of automobile, you’ll quickly locate the ride that’s ideal for your lifestyle. 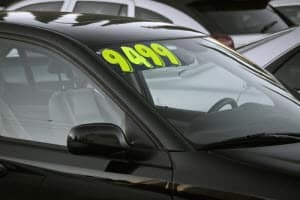 Once you’ve started your search for the ideal used car, it’s essential to locate a dealership that’s equipped with a large selection of used cars for sale. That way, you can easily find the vehicle that fits your family’s way of life. Well, that’s precisely what you’ll notice when you walk through the doors of our showroom. From our agile coupes to our tough trucks, and any other kind of pre-owned vehicle you can imagine, we’re armed with the selection you need to choose the right automobile for your family. In addition, our knowledgeable professionals come with insight into the standard and optional technologies included in your favorite ride. Thanks to their expertise, you’ll adorn the interior of your used vehicle with the latest gadgets and features you’ve been wanting most. To make your used car buying experience even more enjoyable, we’ve designed a collection of convenient tools that allow you to learn more about your financing abilities from your own home. Value Your Trade: This informative tool presents you with the approximate worth of your current vehicle after you enter a few details about its age, make, model, condition, and more. Payment Calculator: Ready to find out more about the monthly payments on your pre-owned automobile? Simply fill out this form with some information, and you’ll be provided with an estimate. Financing Application: By filling out our financing application, you’ll discover more about your purchasing opportunities without walking out of your front door. Once you send us your form through the secure portal, we’ll contact you to discuss more about your abilities. Now that you’ve leased or financed your pre-owned vehicle, it’s time to get some know-how on keeping it in the best shape possible for years to come. Luckily, we’ve furnished our Salt Lake City, UT, used car dealership with a state-of-the-art service center and a squad of skilled mechanics. Whether you’re in need of some basic maintenance, an unexpected repair, or any other type of service, our highly-trained technicians will go above and beyond to preserve the health of your automobile. If you can’t remember the last time your car received an inspection, don’t hesitate to reserve your appointment using our Schedule Service tool. Visit Our Used Car Dealer Salt Lake City, UT! At Volkswagen SouthTowne, we’re committed to providing you with a reliable used car that’ll keep you moving along your journey to Salt Lake City, UT. So, no matter if you’re planning to explore the astonishing views at Big Cottonwood Canyon or view the fascinating wildlife exhibits at the Natural History Museum of Utah, our vehicles will effortlessly carry you to any destination. Why wait around and miss out on your chance to score a capable automobile? Stop by our showroom or schedule your test drive today! Pulled up, Roberto was waiting. very enthusiastic, helpful and patient. Found the car I was looking at as well as a couple other options. Good experience. John was really friendly, he explained what and how we were going to get this done to help me; He did all in his power to help get me financed and to help pay off my Nissan so I could get a bigger car for my growing family; I am deeply satisfied due to being turned away from strong who says "We will finance anyone." thank you so much John. I will be a life time customer here, exceptional customer service and wonderful staff! . Michelle was an excellent person to work with. She was polite and knowledgeable and helped me to get the car I wanted. She was also personable and fun to talk to. I purchased a car on Christmas Eve and its now April.... I am still hearing from Michael Stidom on a regular basis to make sure that everything is going well! I have never had such outstanding Customer Service with anything else, I have ever purchased. Thanks Michael, VW SouthTowne is lucky to have you. It was great. We came in with expectations of what we wanted and it given exactly that. This is our third time buying from VW south towne too! We had such a great experience left extremely happy thank you Dillon! Fast and friendly we are so happy to drive in our perfect new car. Thank you so much. I worked with John Tuliss and he was absolutely incredible. He listened to all of my concerns and was able to get me exactly what I needed when other dealerships we're not. He was very kind and very helpful and had wonderful stories to share. I would recommend him to anyone I know.